I’m going to start by confessing that the Sega Dude and eBay have had a falling out. I’m tired of premium prices on both goods and shipping. And I’m actually offended when I see eBay’s ‘customs services’ included via eBay’s Global Shipping Program as if it’s a feature that the buyer will benefit from. I’ve been using eBay since the early 2000’s (maybe earlier) and on December 2015 I closed my eBay and PayPal account. I believe I’ve suffered from the ‘frog in boiling water‘ syndrome. Maybe someday I’ll go back but so far I’m surviving life without eBay. And my bank account is fatter for it. What’s the alternative for retro video gaming? For me I’ve found that forums are really good places for buying and trading retro games. If you decide to check out forums do yourself a favor and do not treat them as stores. Treat them as communities and participate in discussions and see what others are up to. You’re going to have to be known to established members before you’ll really be able to benefit from their markets. The markets are for invested community members and not Joe off the street. I really do enjoy buying games directly from other gamers just like myself and cutting out the middle man. Doing so has really helped reduce the cost of many of the games I’ve been buying. Of course there is no denying that eBay is convenient and the single most likely place to find that special retro game that you’ve been looking for. So maybe it would be rash to run out and cancel your own account but there is no harm in expanding your shopping horizons and peeling back the curtain a little bit more to see what else this Internet of ours has to offer. The alternatives don’t end with forums. Occasionally I’ll find good deals at local retro video game stores and buy a few games or do some trading. These are very fun places to visit. But better still are retro video gaming conventions. Thanks to Nintendo Joe I’ve found out about many of these events both close to home and in neighboring cities. We both really enjoy going to these gatherings and we always seem to come home with a few good finds. Before I even completed this post I have already re-signed up for a new PayPal account. I’ve learned that PayPal is pretty much required for purchasing games from individual gamers on the forums scene. People know how to use PayPal and trust in the protection it offers. So, I managed to go about 2.5 months without PayPal and I now see it as a requirement for the hobby. I still do not have an eBay account and I’ll tell you about the things I miss. eBay was very convenient and affordable for a bunch of miscellaneous things. 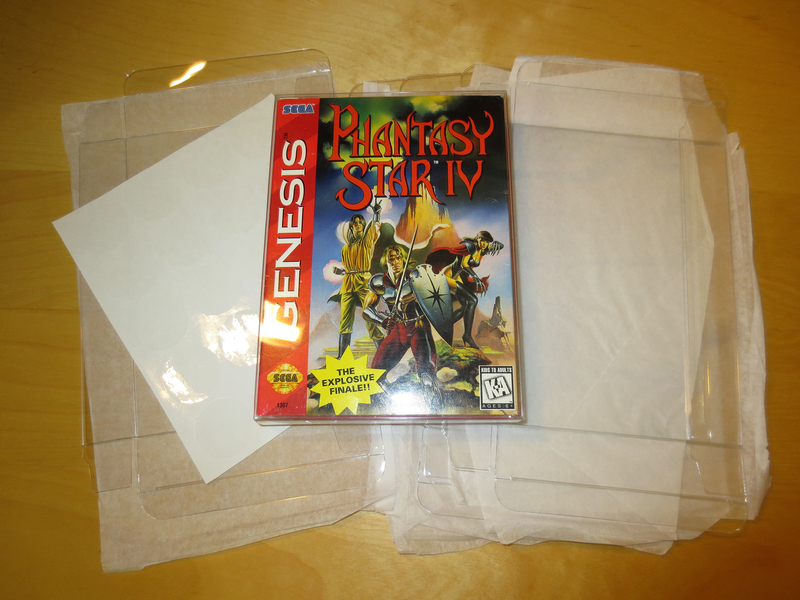 I’m currently looking for good alternate places to buy clear plastic case protectors for Sega Genesis games, cap kits and game manuals (and other misc items). And for these reasons I may someday return to eBay but it’s my hope that I’ll manage just fine without it. Of course it would be better if value returned to eBay but it has been lost now for many years now and I’m not too optimistic. This is my opinion and I do believe it’s shared among many other people. If you use and enjoy eBay I’m happy to hear it. Maybe you can give me some pointers? 🙂 For me the final price of the things I’ve been buying after all is said and done has consistently just been too high for my liking. I’ve been spoiled for many years buying games for great prices and maybe that’s all there is to this. But I do believe this venting has been very therapeutic, so thank you for listening! 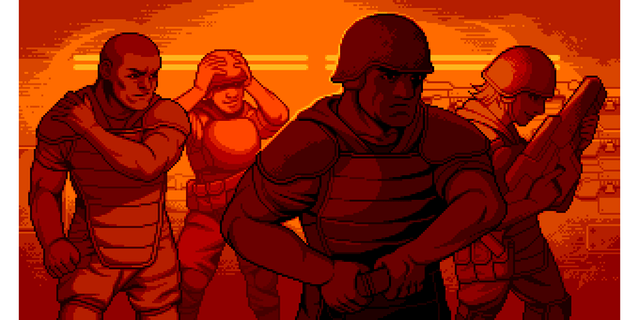 What are your favorite types of places to hunt for Retro Video Games? Update: Since this post I managed to go about six months before signing up for a new ebay account. Why? The short answer is sometimes you will find good prices on ebay and sometimes the convenience is worth the premium. *For the specifics of my return the see very bottom of this post. Update: As of Jan 2019 I am still without an ebay account. It’s been a little over two years and I feel better for it. With massively inflated prices, hidden/bogus fees and misrepresented reproductions/bootlegs it’s hard to find value in ebay. I have no desire to go back. 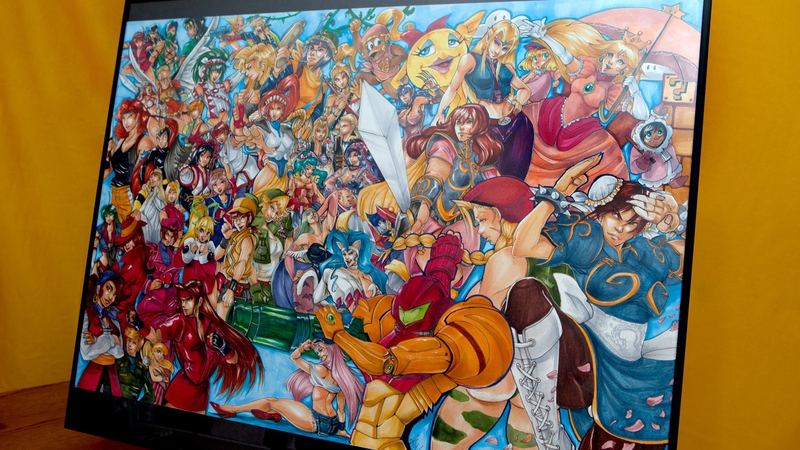 I love reminders that there are still many people out there who love classic video games. What’s happening over at Cook & Becker right now is an excellent example of this. 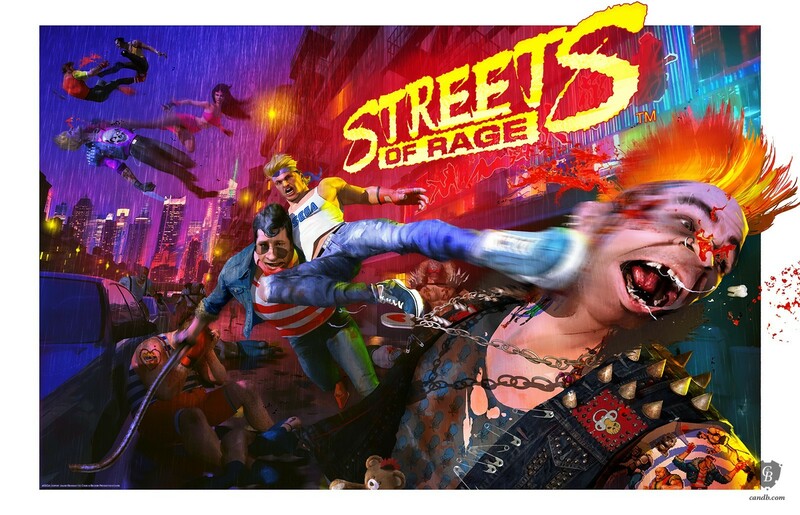 The fact that a company like Cook & Becker are selling video game related artwork/prints shows that many of our old favorite games are not forgotten. And that new material is still very desirable by many of us. Golden Axe and Shinobi are my personal favorites of these first five offering from Cook & Becker. For prints they are very expensive at $115 USD each. However they are quite large (36 x 24 inch) and exceptionally well crafted. I don’t yet know if I would buy them for myself. It’s hard to redirect money that could otherwise become actually retro video games but I am very tempted. And I do want to give credit to Cook & Becker for posting relatively large (1029×1600) versions online that will allow everyone to enjoy them. Thank you Cook & Becker! I’m looking forward to summer 2015 when Cook & Becker promises more art from new artist to add to this first excellent wave. And if you just can’t wait for the perfect piece to show up for your all time favorite game; don’t you worry! The Internet is a wonderful place. A little while ago I discovered poster called ‘Classic Women of Gaming’ featuring every strong female characters in gaming up until 1995. 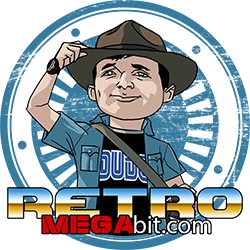 Alis on Retro Megabit by Ashley Riot. Be sure to check out more of Ashley Riot’s work at Deviant Art. 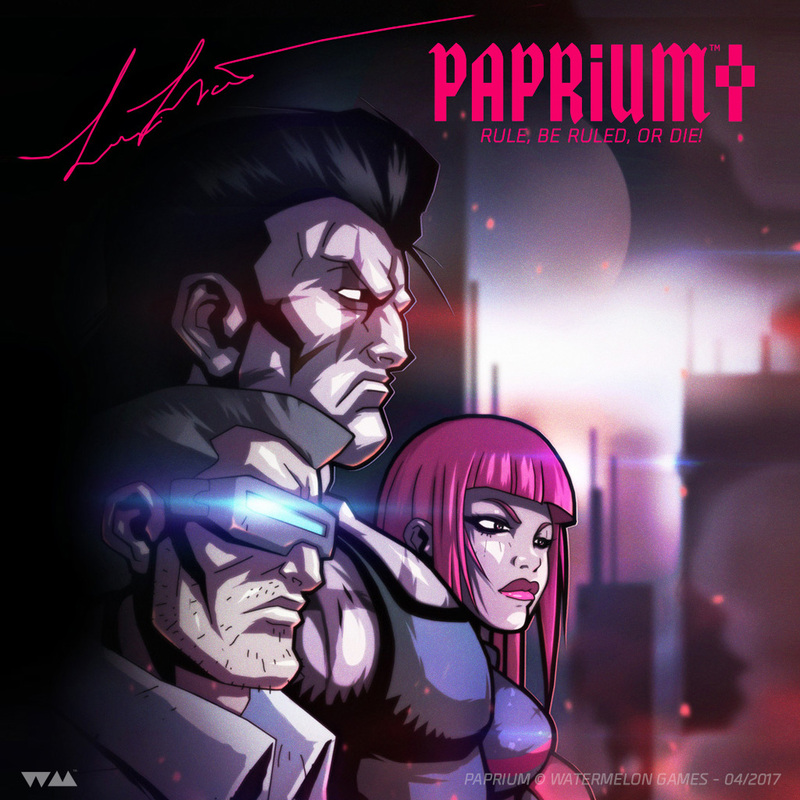 Ashley is currently working on Odin for me right now and my good buddy Kalman the super talented comic book artist is also working on a Phantasy Star poster for me. These are exciting times! 🙂 New love for old stuff abound! In an effort to help enter the video game console market Microsoft had at one point considering buying Sega. Despite being very surprised to hear this news it does sound plausible. Of course this was a long time ago now; well before the Microsoft Xbox. This idea certainly has my imagination spinning. What would have happened if Microsoft actually did this? I’m sure the Xbox we know would have entered the market pretty much as it is now (possibly with a different name?). But what would have happened with Sega’s awesome software? I can’t help but think that Microsoft would have done a lot more with Sega’s massive game library than Sega has done. Based on how well Microsoft did with their own games I can’t help but think they would have brought us some very worthy or even exceptional sequels for many of our favorite Sega titles. Below is the article I found at IGN.com. It states that this information has come from former Microsoft VP Joachim Kempin. Microsoft’s long-rumoured plan to acquire SEGA never came to pass because Bill Gates was sceptical the company had “enough muscle” to stop Sony, according to the company’s former VP of Windows Sales. Joachim Kempin, who worked at Microsoft between 1983 and 2003, made the claim in an interview with IGN due to go live later today. He explained that the acquisition of SEGA was originally floated as an easy way for Microsoft to enter the console space and stop Sony, especially given the huge financial losses associated with in-house hardware manufacturing. “There were three companies at that point in time, I think this was [Sony,] SEGA and Nintendo. There was always talk maybe we buy SEGA or something like that; that never materialised, but we were actually able to license them what they call Windows CE, the younger brother of Windows, to run on their system and make that their platform. “But for Bill [Gates] this wasn’t enough, he didn’t think that SEGA had enough muscle to eventually stop Sony so we did our own Xbox thing. For Phantasy Star 1 fans this post might really be something special. The following is an interview with Rieko Kodama who is the woman who designed and created Phantasy Star (with a team of seven or eight people) for the Sega Master System. Like very few others Rieko Kodama is able to (and has) given us very knowledgeable and intimate details about this revolutionary game. Phantasy Star had a big impact on my gaming life and it’s a video game that I still enjoy even twenty five years later. I found this Interview with Rieko Kodama at smspower.org. And according to the poster it was originally posted April 4, 2003 on Sega’s community forum called Masterpiece Album but has since been removed. Entering Sega in 1984, Kodama worked on the design of many early titles, including Champion Boxing (arcade), Ninja Princess (arcade) and Alex Kidd in Miracle World (SMS). She worked on Phantasy Star IV (Genesis) and Magic Knight Rayearth (SS) as a director, and as a member of development studio Overworks, she made her debut as a producer with Skies of Arcadia Legends (GC). Born in Kanagawa prefecture; blood type A.
Q: So you joined Sega as a designer? Rieko Kodama, Sega: Right. Actually, when I was in college I was thinking about studying one of two things: either art or archaeology. However, I ended up completely failing out of all of my classes instead. I had been studying art before then, so I took this as a sign that I should just continue taking that road, and I ended up entering a trade school for advertising design. There was a student I knew at that school who became a member of Sega, and that’s how I ended up joining the company. It wasn’t like I knew very much about games at the time. Most of the industry was still in the arcade field, and for someone like me who never went to arcades it was an unfamiliar world. The Famicom had just barely been released, so there weren’t any major consoles to think about, either. As a result, video games to me were a completely new world to explore. That’s why I joined Sega. Q: What projects did you do design work on after you joined the company? RK: I thought I would be working on advertising and graphic design in the beginning, but after I got to see the place where they made games I started to feel like that could be fun, too. So once I joined Sega I got the chance to draw the characters in Champion Boxing, and after that I worked on Ninja Princess and other games. Sega didn’t have a lot of designers and development times were pretty short, so there were times when I was working on five or six games at once over a year’s time. Q: How did the Phantasy Star project get off the ground? RK: Well, back then I was just a designer, so to be honest I don’t really know or remember exactly how the project got started. At the time, though, Dragon Quest was really popular, so as a hardware maker Sega felt that they needed an RPG of their own. A lot of people on the team really wanted to make a pure RPG, too, so I think the Phantasy Star project took off from there. Q: How was the development team structured? RK: Ossale Kohta [Kotaro Hayashida, who designed the Alex Kidd series and now works at Game Arts] was the main planner. [Yuji] Naka was the main programmer. 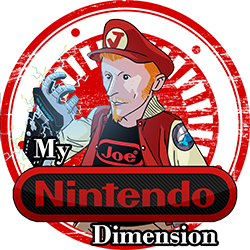 BO [I don’t know his real name but he had a hand in nearly every Master System soundtrack, as well as PSII’s] did the music, and I was the main designer. We also had a couple of assistants, so I’d say there were seven or eight of us in all. Q: What sections of Phantasy Star were you responsible for? RK: For Phantasy Star I was the main designer. I drew all the character designs, the 2D maps (not the 3D dungeon areas), the battle-scene backgrounds, the townspeople, and so on. Q: What did you worry about the most when making the maps? Q: Could you tell us where the original images for the four main characters–Alisa (Alis), Myau, Tairon (Odin) and Rutz (Noah)–came from? 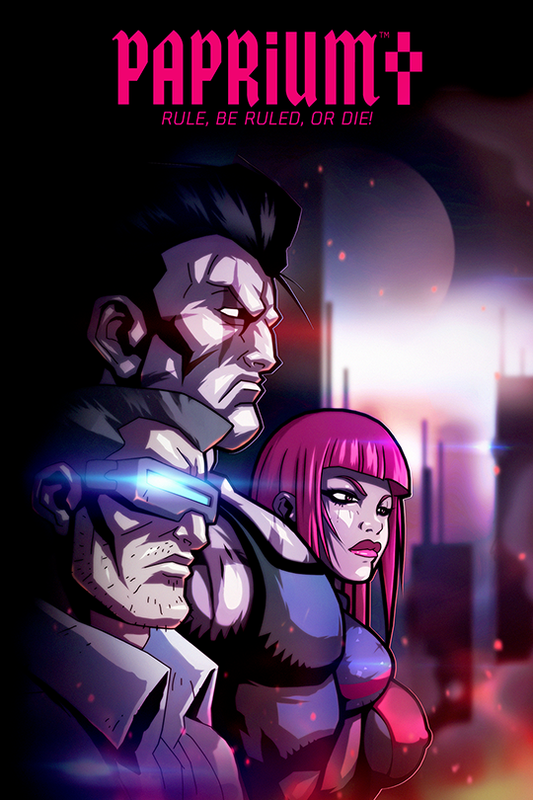 Alisa, the main hero, tends to be thought of as this incredibly serious person on the inside. 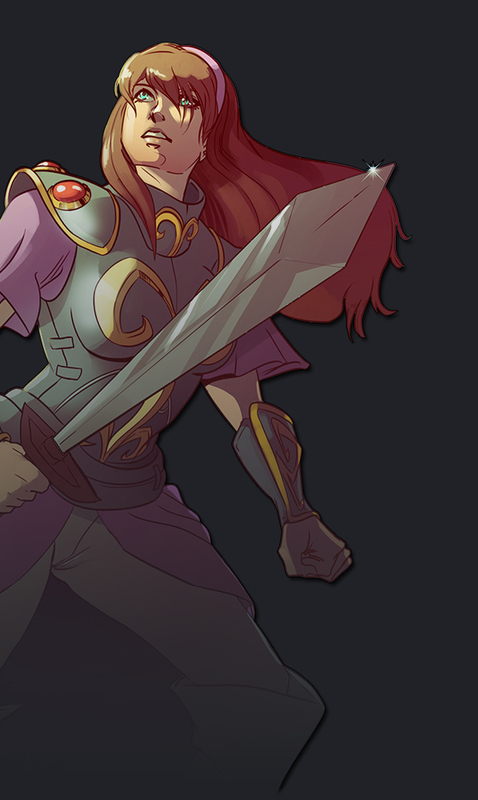 At the same time, though, she’s a very passionate and forward-thinking woman–she’s on a quest for revenge, after all. Even so, I tried to keep her “womanly” during the design. Myau isn’t there just to be a mascot for the party; he gets involved in the scenario near the end of the game. It wasn’t like we wanted to insert a cat into the party for a lark or anything….I’m pretty sure it was Choko [one of the sub designers, who appears in the game and also worked on Phantasy Star II] who designed Myau. With Rutz, it’s not like he’s dark or has some kind of shadowy past… really, he treats other people very seriously, and he’s able to undergo the training he’s taking because of the faith and pride he holds. I designed him because I wanted to have a “silent” character to go with the rest of the party, which are really more “active” types.Of course, to be really honest, I may have just wanted to draw a “handsome” character. (laughs) I had this image in my head of this wizard in robes, not an old one but a young man instead, so even though Alisa went through about 10 different design patterns, my first drawing of Rutz was almost exactly how he ended up in the final version. (laughs)During the intial planning stage, one idea we had was to alter Alisa’s parameters–make her more boy-like or girl-like–based on the player’s actions in the game. Rutz, then, would be sort of androgynous in the beginning, then would become either a man or woman based on which way Alisa began to lean. That was our original idea, anyway, and as a result I initially wanted to make Rutz kind of “in between”… but afterwards we settled on the male character you see now. Q: RPGs staring women were rare back in those days. RK: They were. At that time, nearly everyone in the [console] industry was making their first stab at making an RPG, so we were all groping around for ideas. However, all of us at Sega were really challenging ourselves with this game, so we veered away from the main road as much as possible during development. So, for example, we didn’t see 3D dungeons in any other console RPGs, so we decided to put those in, and monsters didn’t move in any other RPGs so we included monster animation… that sort of thing. We were always trying to do the opposite. 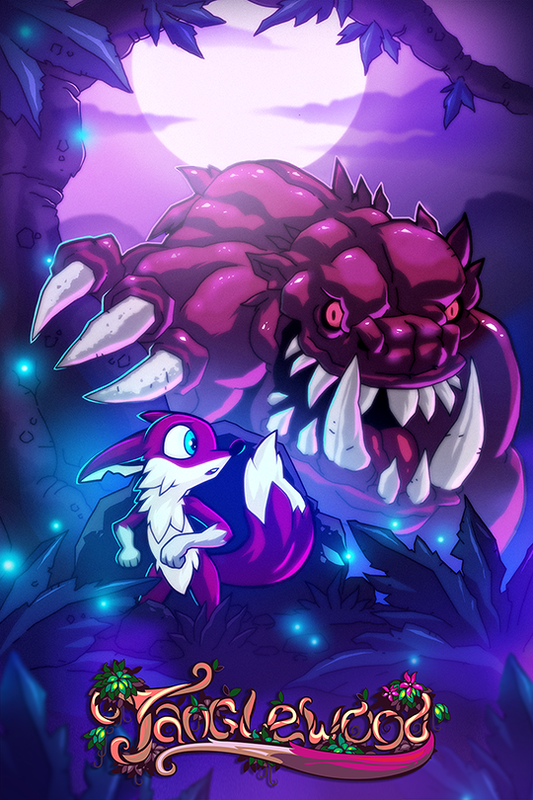 Q: Did you design the monsters as well? RK: The monsters were drawn by other people. We had four megabits to work with, which was a pretty big amount at the time, so it became a very large project and it was too much for me to work on all of it. Q: The monsters in Phantasy Star look and feel a lot different from the monsters in the rest of the series. RK: That was just the style of the artist in action. The designer in charge of the monsters was really well-versed in fantasy art, and he loved the basic fantasy monster standbys. That’s why you see things like golems and Medusa show up in this game. Q: The monster animation during battles generated a lot of buzz as well. RK: It did, but it was a big hassle because we didn’t devote much ROM space to battle animation. For example, when a zombie attacks you he spews out this stuff on the floor, but we didn’t have enough space for the entire motion, so instead of hitting the floor, the zombie vomit shoots back into his mouth like a yo-yo. (laughs) We couldn’t stop laughing at him. Q: What sort of problems did you run into while drawing the backgrounds? RK: Well, background scenes like this one are mirrored vertically to save ROM space. On the Mark III mirroring sprites requires a separate tileset, but you don’t need to worry about that with fixes. [Fix: An internal Sega term for the background image in games. 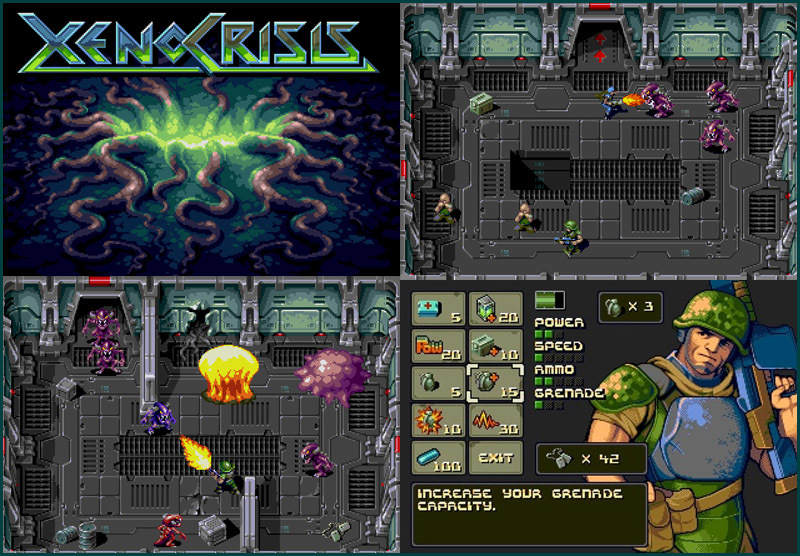 To display graphics stored on a cartridge, images must be divided into 8×8-pixel tiles (also called cells). 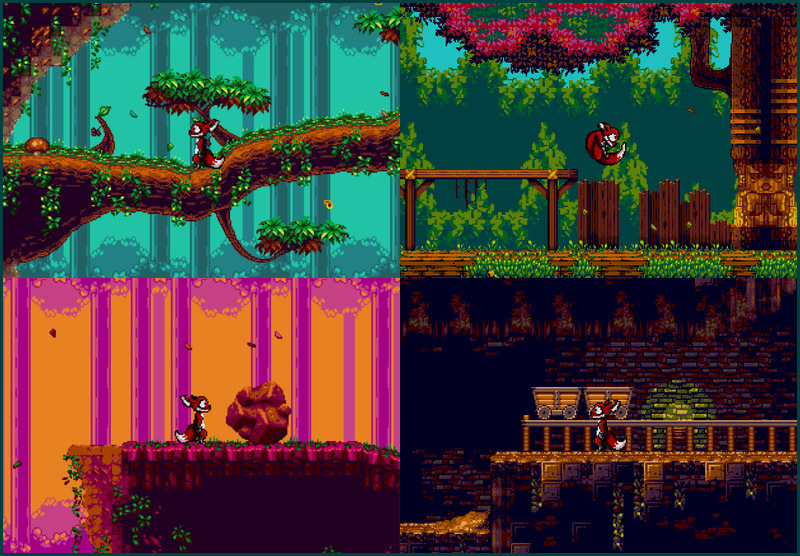 These tiles are stored in a character-generator RAM and then are placed onscreen based on the character map data, which determines what tile goes on which location in the screen. However, you also need to keep space open in main memory for the program, sound, and other assorted data, so only a certain number of tiles can be used in one scene. When the scene changes, new tiles can be loaded into the character generator. I wanted to include a shadow on this part of the dome, but thanks to the mirroring, you’d never actually see shadowing like this in real life… but I just said “Oh well” and moved on. (laughs) I wanted the backgrounds to take up the whole screen, and that’s how we ended up doing it. Q: A lot of players probably remember the infamously difficult scene where you had to buy a shortcake in a shop at the bottom of a dungeon in order to meet the Governor… Who designed that? Q: Were the 3D dungeons included in the game from the planning stages? RK: They were already in the planning document by the time I joined the project. As far as 3D dungeons go, if you want to make them run as smoothly as possible, then it’s not that hard; all you have to do is draw all the frames for the advancing walls. However, if we did that, then we wouldn’t be able to get all the frames into the ROM, and it wouldn’t look as good if we dropped some frames and left others in… so, we thought, how about we make a wireframe 3D dungeon in the program itself? That’s how I ended up having [Yuji] Naka build a wireless 3D dungeon program for me. The basic idea was to take art and place it on top of the wireframes. After that we just had to experiment with which frames we could drop and still keep things smooth and pretty. Once we got it right, we found that we could run around the dungeon faster than we ever expected–several times faster than it is right now, in fact; it was almost to the point where the program, not the graphics, was the main bottleneck. …So, anyway, the 3D dungeons were already decided upon in the planning phase. 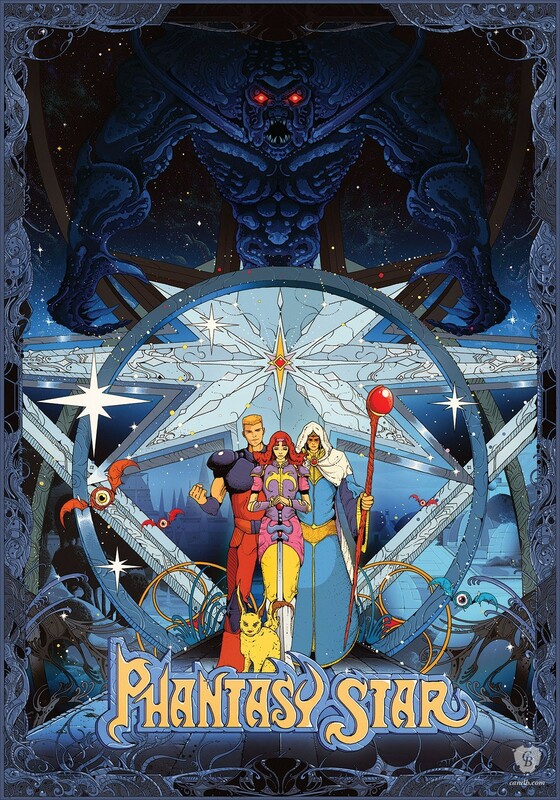 Q: In your eyes, what do you think of the world and basic image of Phantasy Star? RK: I think all the designers and programmers have their own thoughts, but as the designer of the world itself, I naturally had my ideas. 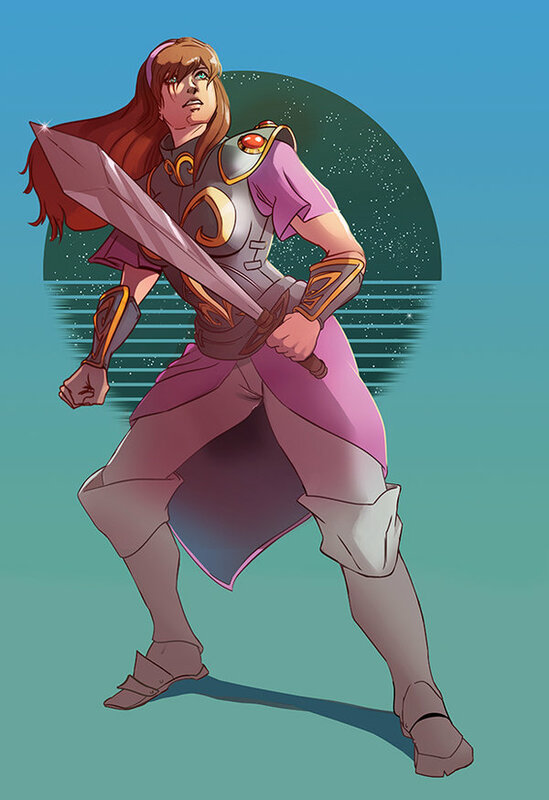 In designing the Phantasy Star world, I wanted to use what I learned in Star Wars about borrowing something from a completely different universe. So that’s why I thought that it’d be neat if the people in this world wore medieval clothes, even though it’s a science fiction story and there are robots running around. That was the image I had when I made this world. 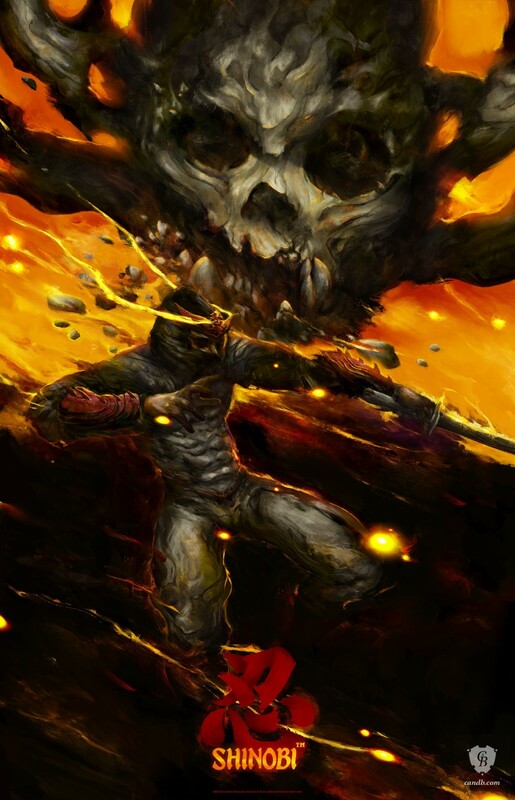 Q: Finally, tell me what your favorite piece of art is from the game. Really, it was a tiny amount of memory, but I wanted to repay him for cleaning up the code, so I stuck in this picture. The Rise and Fall of Sega Enterprises. Game over, yeah. Posted on Eurogamer.net and written by Damien McFerran this insightful article really sheds some light on what happened to Sega during it’s hardware years. When Sega discontinued production of the Dreamcast console in 2001 and withdrew from the domestic hardware market, it marked the conclusion of one of the most tumultuous and error-strewn periods in the company’s 72-year history. Sega Enterprises’ spectacular fall from grace during the course of the 1990s remains a tragic spectacle of overconfidence and woefully misguided business practice. At the start of the decade, Sega stood astride the gaming world like a colossus; it had smashed Nintendo’s vice-like stranglehold in the US and conquered Europe with its street-smart marketing. But by the close of the ’90s, the company’s reputation was in tatters, its user-base had all but collapsed and it was driven dangerously close to the yawning abyss of insolvency. Sega started the ’90s as the underdog. Nintendo’s control over the US and Japan was all-encompassing; it held sway over 90 per cent of the global video game market and had effectively swatted away the limp challenge of Sega’s Mark III (also known as the Master System). The 8-bit Famicom was under millions of TV sets in Japan, while the western variant – known as the Nintendo Entertainment System, or NES – achieved similar penetration in North America. 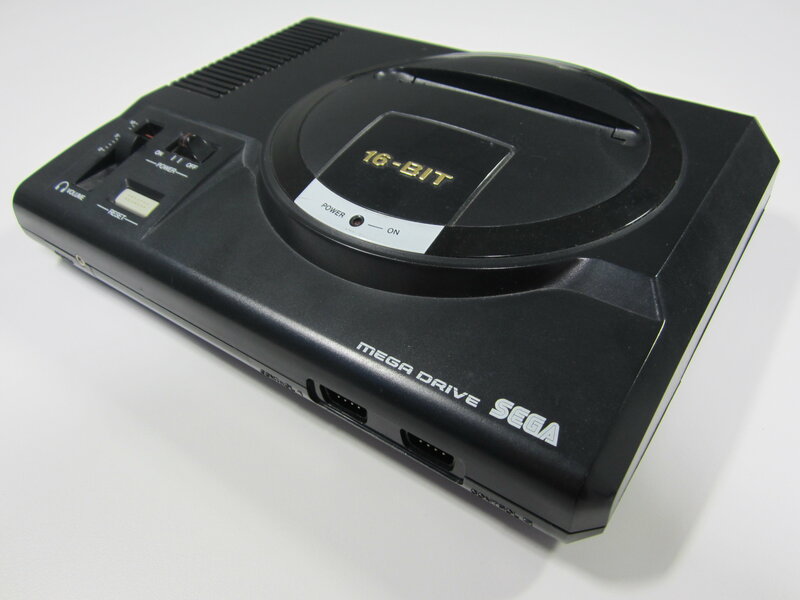 However, that was all set to change with the unveiling of the 16-bit Mega Drive. 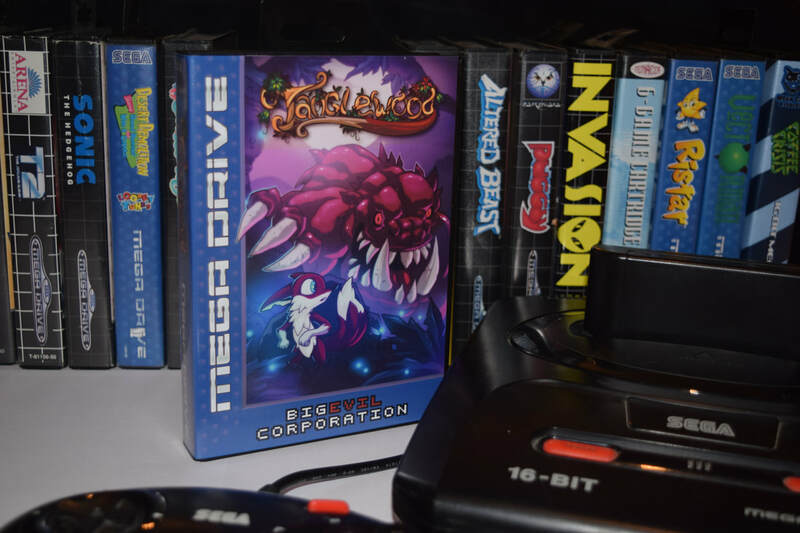 Released in its native Japan at the close of 1988, the machine had struggled to unseat the incumbent Famicom, but it would be in the West where Sega’s true fortunes lay.The stars began to align with the 1989 launch of the Mega Drive – rechristened Genesis – in North America. After a encouraging start, the new console started to chip away at Nintendo’s previously unassailable lead. A savvy combination of faithful arcade conversions and licensed sports titles helped establish a prestigious user-base, but it took a certain blue hedgehog to really hammer home Sega’s message. 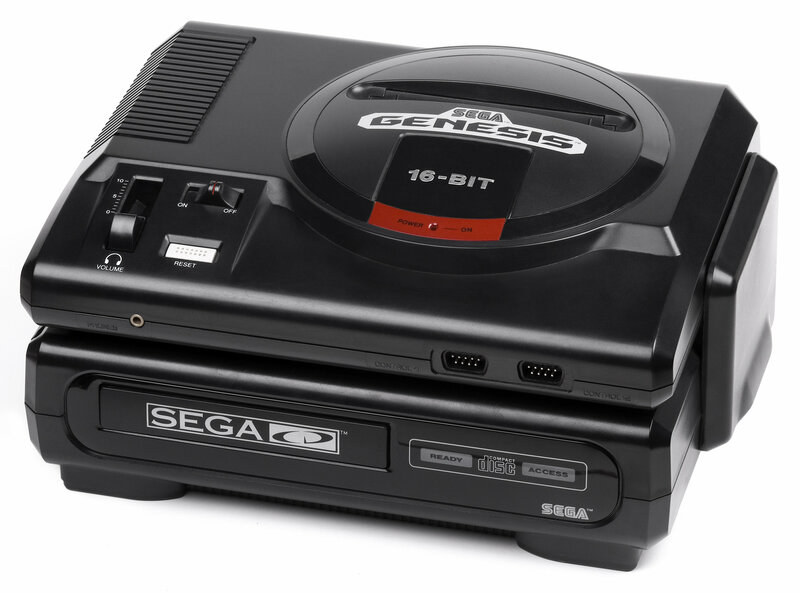 The 16-bit Mega Drive – known in the US as the Genesis – remains Sega’s most successful home console. It sold around 40 million units worldwide. Sega’s edgy attitude enabled it to leapfrog Nintendo not just in the US but also in Europe, where the success of the Master System had laid the ideal foundations for the new console. “Sonic was a phenomenon,” says Mike Brogan, Sega Europe’s development director at the time. “It was iconic and, in my opinion, was the main reason for Sega’s success against Nintendo in this period.” By 1992, Sonic had helped Sega to snag 60 per cent of the North American market – an almost unthinkable achievement considering Nintendo’s previous dominance in that region. Getting to the top of the pile was one challenge, but remaining there proved to be quite another. As it looked to buttress its freshly won market share, Sega made the first of many critical missteps – it launched the Mega-CD. Even within Sega, there were serious doubts regarding the wisdom of such a move. “Add-on devices don’t increase market share,” explains Brogan. “By their very nature, they sell into the existing customer base.” However, before the unit even had the chance to be exposed to consumer apathy, it experienced a nightmarish path to market. 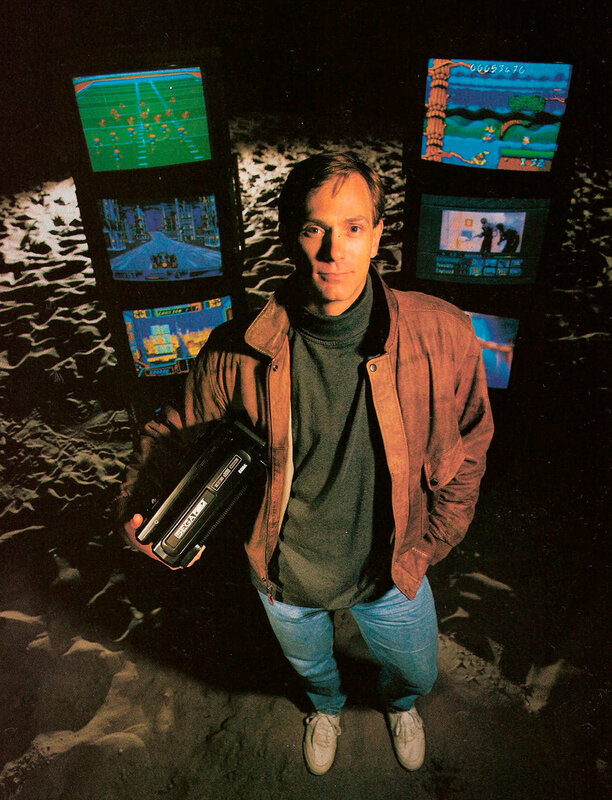 “I joined Sega just as Mega-CD was emerging from Engineering in Japan,” recalls Bayless. “My first significant job at the company was to help bring the device into the US market. It was a launch full of stumbles, but without question some of the worst errors were technical. Bayless and his team managed to overcome these obstacles, and the Mega-CD made it to store shelves. The initial signs were encouraging, and Bayless reveals that the device garnered celebrity fans in pop superstars Michael Jackson and David Bowie. The system even played host to what was arguably one of the most infamous video games of all time. However, amid the appallingly grainy FMV ‘interactive movies’ and hastily retooled updates of existing Mega Drive games, the Mega-CD had precious little in the way of truly essential software. 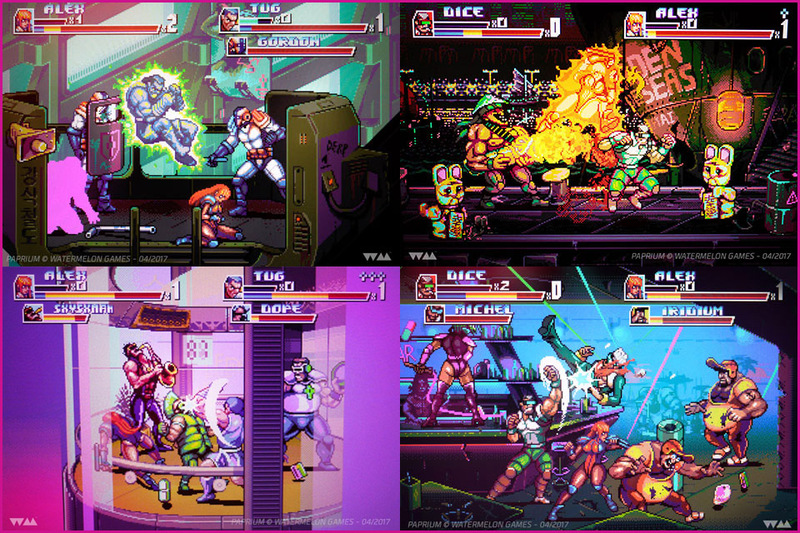 Its failure to capture the imagination of the public did much to erode the good work achieved via the Mega Drive. It was a valuable lesson to Sega, but it sadly wasn’t heeded – the Mega-CD’s lukewarm reception did nothing to dull the company’s appetite for similar hardware augmentation. What followed was the 32X, an attempt to prolong the lifespan of the Mega Drive in the West and tackle the impending launch of several newer, more powerful systems. Scot Bayless was drafted in to appear in magazine advertisements for the Mega-CD, yet behind the scenes he harboured grave doubts about the system’s chances and potential. Over in Europe, the situation was equally dire. Brogan and his team were given the thankless task of promoting a device that they had zero faith in. “Our first reaction was one of dismay. Saturn launch was about a year away, and it seemed crazy to divert resource from that into 32X. I’m not just talking about Sega’s resource to develop the hardware, either; we were concerned that it would confuse the third party developers who would have to choose whether to put their effort into 32X or Saturn. 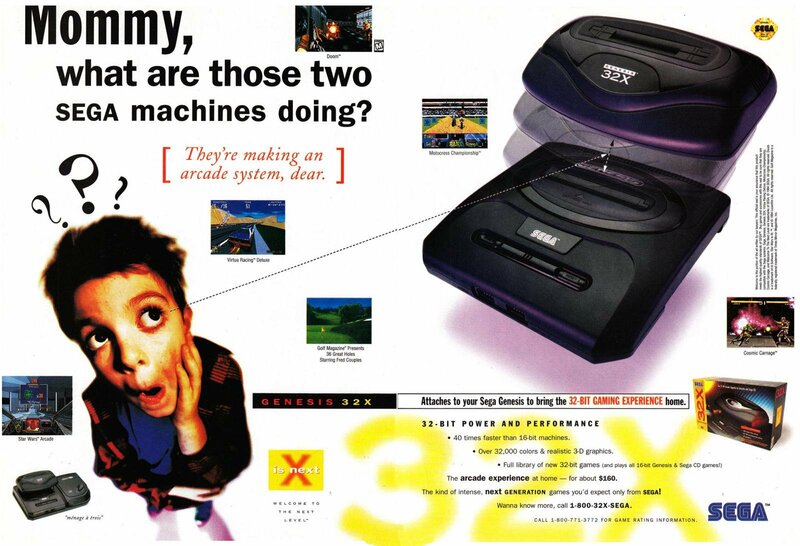 Sega’s US promotional campaign for still-born 32X was particularly poor, as this awkwardly crude double-page magazine advertisement illustrates. Even if the Mega-CD and 32X had both been met with rapturous success, it wouldn’t have solved a more pressing issue at Sega – by the middle of the 1990s, the company was literally drowning in systems. The Mega Drive, Master System, Game Gear, Mega-CD, 32X and Saturn were all active in various markets around the globe, albeit with differing degrees of support from Sega’s regional divisions. This put a massive strain on the company’s already-stretched infrastructure. Sega’s rapid expansion in the early part of the decade drove an equally sizable growth in staff, but this created its own headaches. Across the pond, the expansion was less dramatic, but still noteworthy. The commercial failure of the 32X was unquestionably damaging to Sega’s next-gen plans, but it was the long-lasting repercussions that possibly did the most harm. In Japan, where the Mega Drive’s installed base trailed way behind the Super Famicom (SNES) and NEC’s popular PC Engine, the 32X was barely an afterthought. Sega of Japan was putting all of its weight behind the 32-bit Saturn, thereby avoiding the division of resources and attention that afflicted its Western divisions. Saturn’s Japanese launch at the end of 1994 was a massive success, but it didn’t take long for the rival Sony PlayStation to gain the lead. 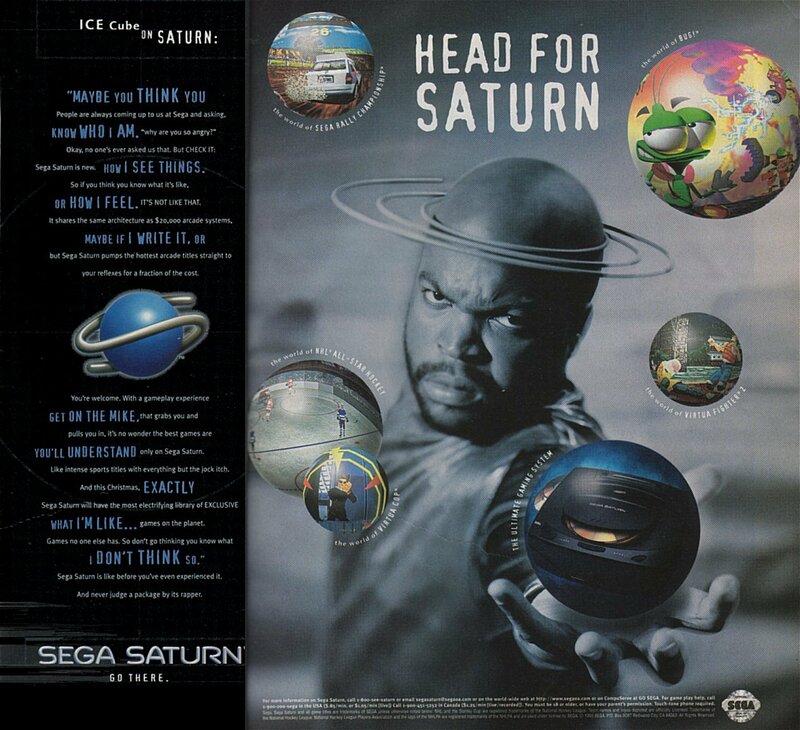 By the time the Saturn turned up, Sega’s magical touch with marketing had all but evaporated. Ice Cube? Really? Industry newcomer Sony made no such mistake with the internal architecture of its PlayStation, granting it fearsome graphical prowess which dazzled both developers and prospective buyers – many of whom had previously considered themselves to be committed Sega fans. But Sony’s biggest advantage wasn’t directly visible to consumers. Saturn lasted just four years before Sega launched a successor in the shape of the Dreamcast in 1998. The company’s last throw of the dice was undoubtedly ahead of its rivals in terms of raw power, and Sega had at least attempted to learn from its mistakes by making it an easy platform to develop for. Despite a positive launch in the US, Sega’s past misdemeanours conspired against the new console, and old errors were repeated. “As good as Dreamcast was, it’s a classic example of solving last year’s problem,” explains Bayless. “Everything about it seemed to be aimed at countering the things that made PlayStation so successful. It was well-executed, feature-rich and pretty much ticked every check box against Sony’s console, but PS2 was about to shift the paradigm once again. When the along-awaited Sony PlayStation 2 hit the market in 2000, it marked the end of the Dreamcast’s chances. Money was sunk into costly developments that had no chance of reclaiming the expense – Yu Suzuki’s $50 million magnum opus Shenmue being one prime example. To make matters considerably worse, Japan was plunged into recession, prompting many companies – not just Sega – to tighten their belts. 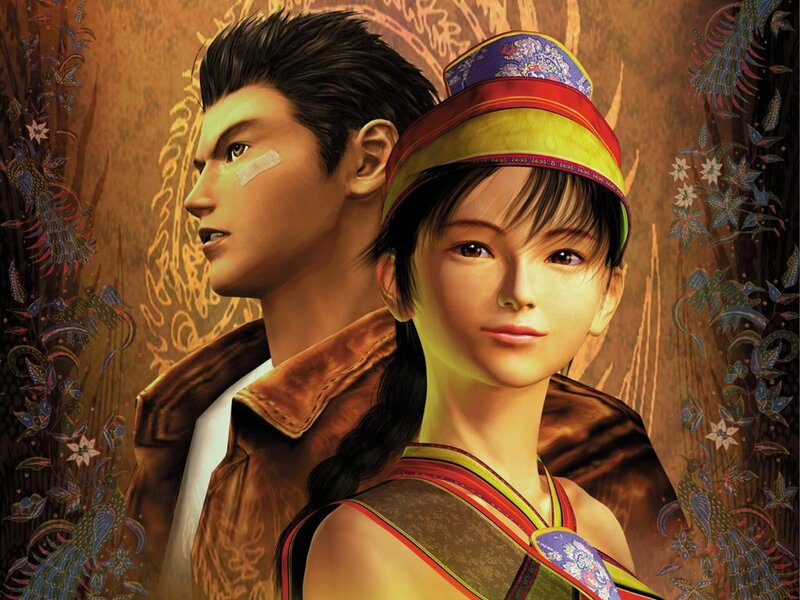 Costing $50 million to make and standing no realistic chance of ever recouping that cost, Yu Suzuki’s Shenmue is indicative of Sega’s rudderless development strategy during the Dreamcast period. 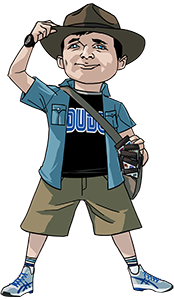 By 2001 however, both Kalinske and Nakayama had parted company with Sega, and the harsh realities of the business forced the inconceivable to occur. Even so, Sega’s transition from hardware to solely software wouldn’t be enough to save it from the chopping block – additional assistance was required, and that came from a man named Isao Okawa. Okawa was chairman of CSK Holdings, the Japanese company that was the majority shareholder in Sega Enterprises during the late ’90s. After forcibly removing Sega president Shoichiro Irimajiri in 2000, many assumed that Okawa was about to shut down the ailing video game veteran for good. In fact, Okawa granted the company the vital transfusion of funds that would ultimately keep it alive. In 1999, he loaned $500 million of his own money to pay off Sega’s debts – a loan he would later waiver on his deathbed two years later. When the 74 year-old Okawa succumbed to heart failure in 2001 following an arduous battle with cancer, he also gifted Sega his personal shares in both the company itself and CSK, which equated to a cool $695 million. The immense generosity of this one individual aided Sega’s painful move into software publishing, and safeguarded its long-term future. These days Sega Enterprises is known as Sega Corporation, and is a subsidiary of Sega Sammy Holdings. It remains and endures, but as a much-changed organisation. It is now famous primarily for its software, and presides over a glittering catalogue that includes Sonic the Hedgehog, Football Manager, Yakuza, Total War and many other best-selling titles. 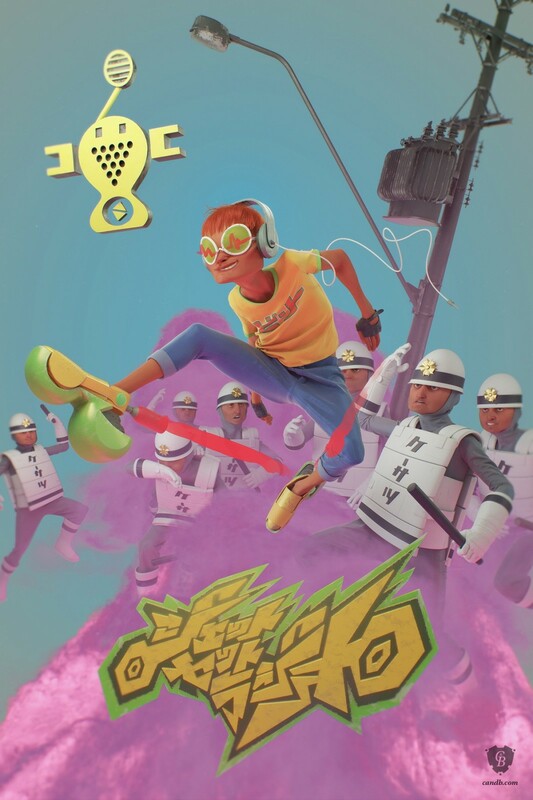 The company’s financial outlook is also positive; it posted a net income of ¥41.5 billion last year – around £338 million – and it ranks as one of the largest publishers of video game software in the world. Despite the trials and tribulations of the ’90s and the company’s almost fatal dalliance with domestic hardware manufacturing, many fans still cling forlornly to the hope that Sega will re-enter the hardware arena and reclaim its previous lofty position. Is this anything more than a pipe dream? via The Rise and Fall of Sega Enterprises • Articles • Eurogamer.net.